Luxury Cabin - Grand Opening Special! 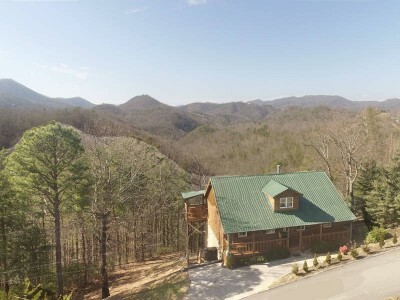 Grand View features beautiful views of the Smoky Mountains in Wears Valley, Tn. This cabin has unique open floor plan with large rooms and a huge vaulted ceiling that you and you're guests are going to love! Hot tub on a covered deck with views, views, views! 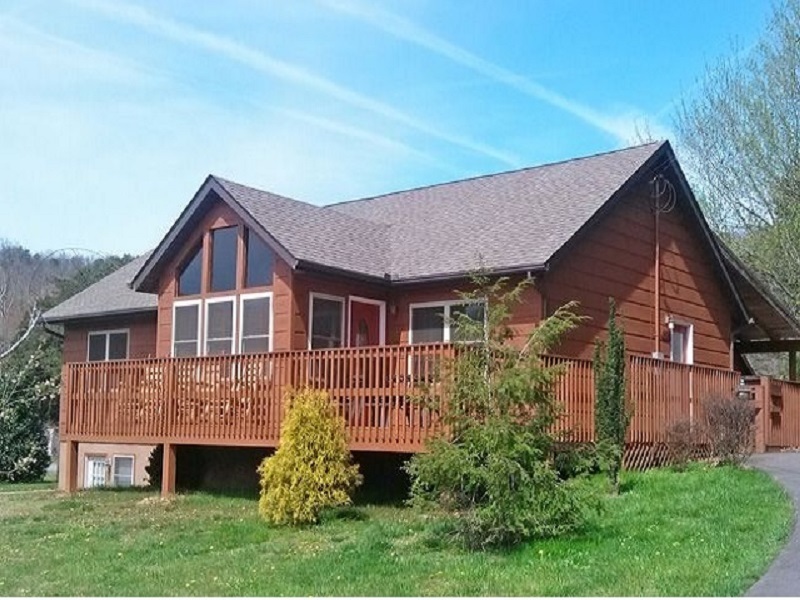 Two king sized bedroom suites that open to the deck and mountain views! Brand new top of the line mattresses assure the best nights sleep. Every room has large LED Television, mountain views, high speed internet and much more! All brand new furnishings & amenities! Walk to swimming pool! Golden Oaks offers loads of spacious living, a huge fenced in level lot for your family or pet, walking distance to the swimming pool and catch n release fishing pond. All on one level! Two king sized bedroom suites - split floor plan! Screened porch, huge deck, streams on three sides, game room. 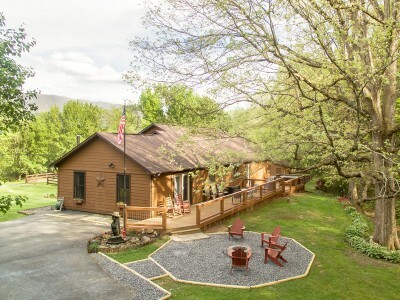 Your family will love this comfortable and relaxing Smoky Mountain central location only minutes to the national park or the new foothills parkway! Golden Memories is a beautifully decorated studio cabin in a charming country setting! The cabin is centrally located in peaceful Wears Valley, and only minutes from Pigeon Forge, Smoky Mountains National Park and Cades Cove! 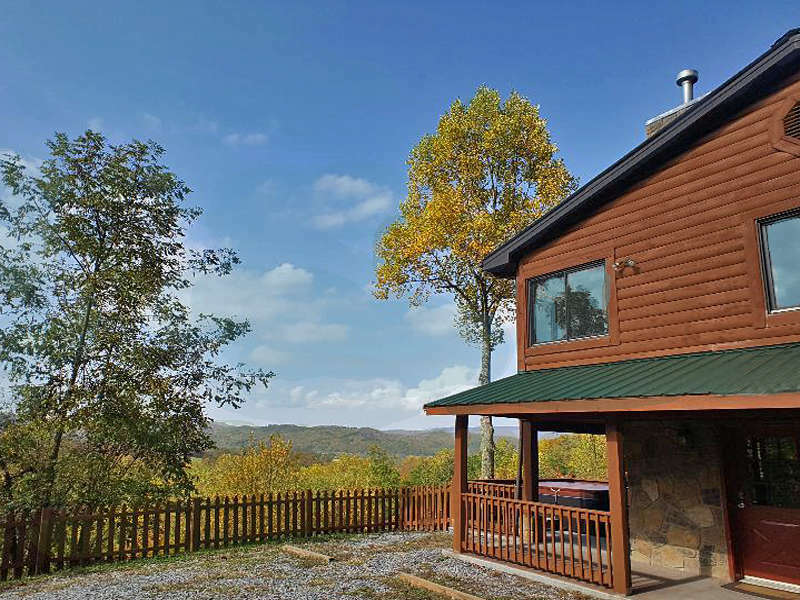 There is a great wall of windows that stretch across the front of the cabin and affords our guests a fantastic view of Cove Mountain from the cabin interior or the large covered front porch! One of the unique features of this cabin are the massive pine cathedral ceilings that cover the entire 936 square feet of open floor space! “Simply Golden” is a secluded cabin in a one of kind setting. 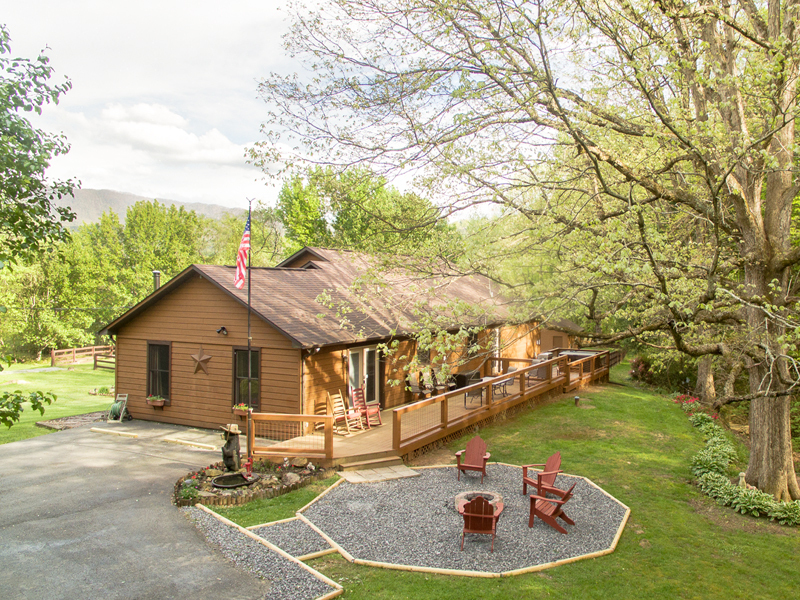 You will find the cabin nestled up against Cove mountain in beautiful Wears Valley, Tennessee. Everyone will enjoy the custom fire pit, hot tub and covered deck with views of the mountains and sunsets! 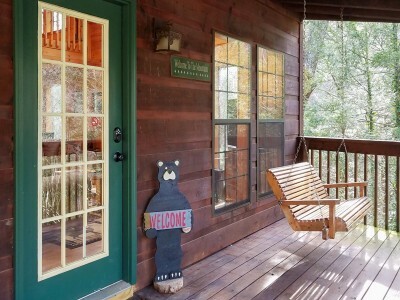 Full of amenities make this cabin a favorite with small families, families with kids and pets. Family Memories cabin has a close up view of the mountains in Wears Valley, Tn. Experience all the joy of being in the mountains from a valley setting! Family Memories features a large level fenced yard and is handicap accessible! All this and first rate amenities makes Family Memories everyone's favorite! 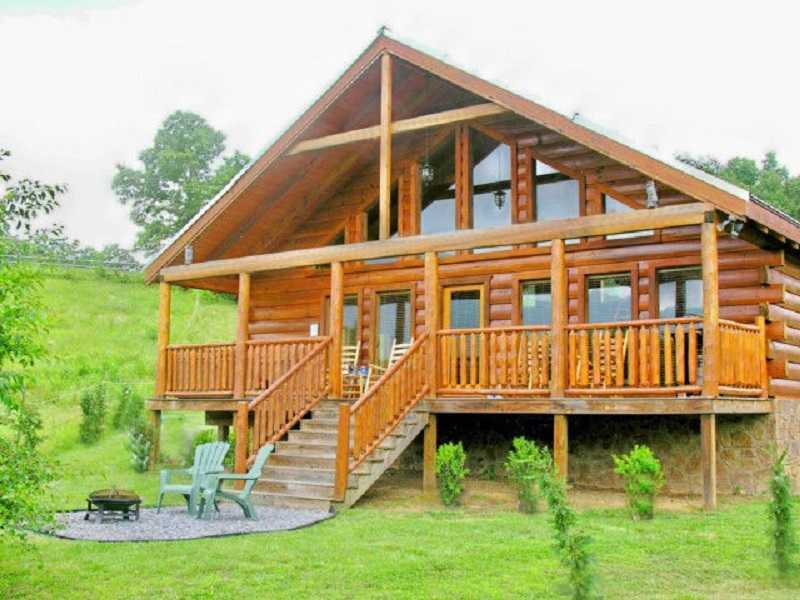 Bear Lodge is a beautiful authentic hand hewn log cabin in Wears Valley, Tn and just a few minutes up the road from Townsend, Tn. 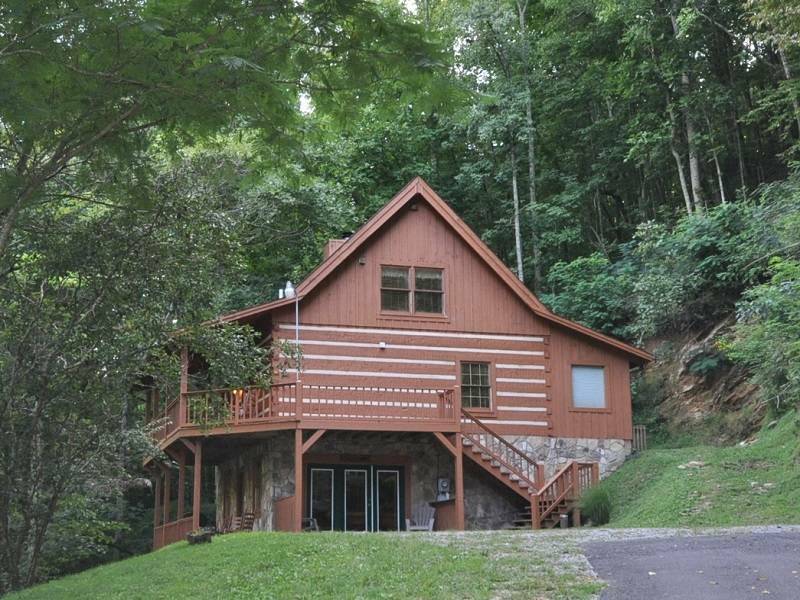 This georgeous cabin is in a wonderful secluded setting nestled in hardwoods near a creek! Bear Lodge is to be appreciated by anyone looking to experience a relaxing mountain getaway vacation! 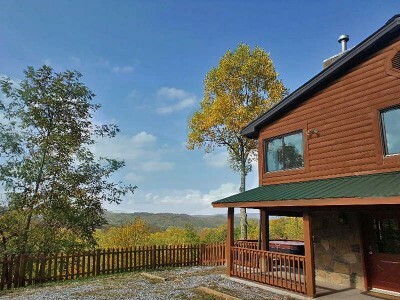 The easy access and beautiful setting are two factors that make this cabin a favorite with returning guests! ! 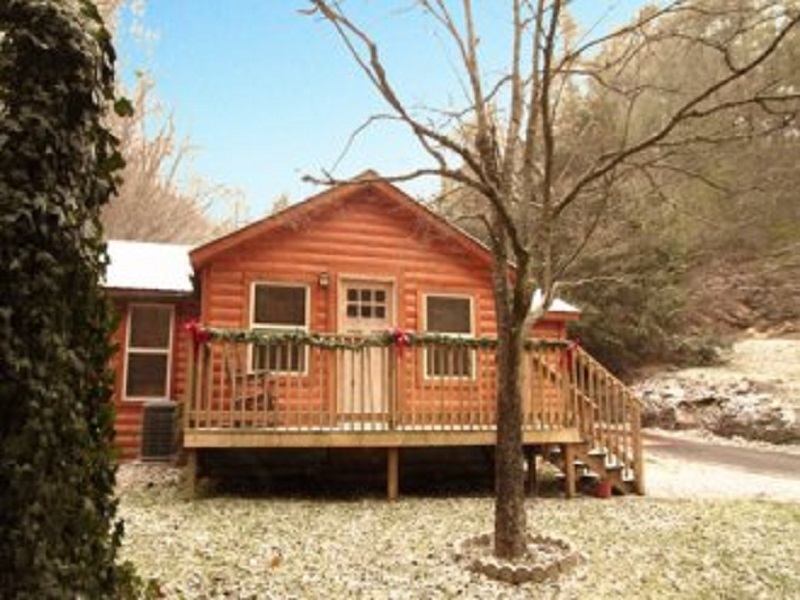 Bears Den is a budget friendly cabin that is often our priced below the one bedroom cabins. This cabin has been renovated from top to bottom! You will find the cabin on a three acre lot that features a private back yard with a deck and a motorcycle garage. Bear Mountain is one of those cabins that from the time you enter the front door it feels like home! 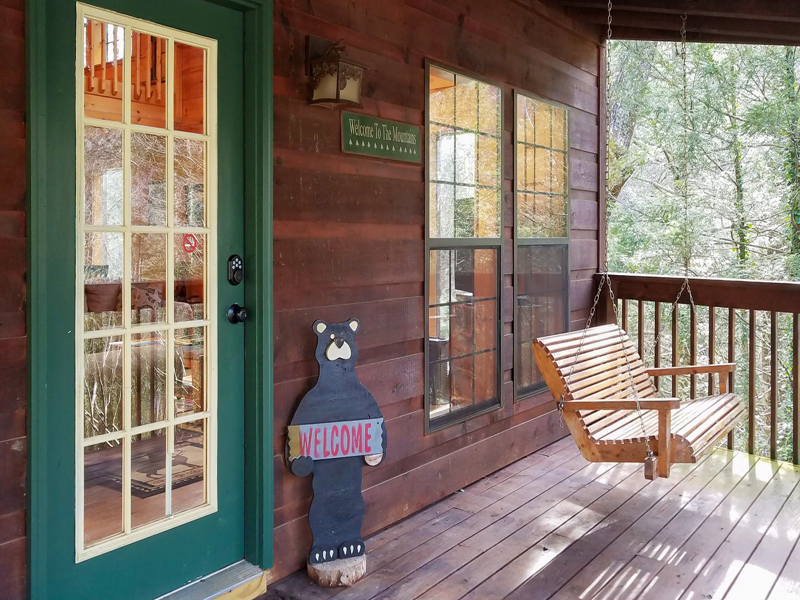 Walk in this wonderful secluded Wears Valley cabin and behold the twenty six foot high ceilings, complete with a tree branch high overhead and two small bear cubs climbing toward the top!